A Cheap Flight to Manila is not that hard to come by. With a Cheap Flight to Manila the plane and seat are the same, but the price is good! Cheap Flight to Manila.When your flying into the Philippines, the majority of all international flights arrive in Manila. Your biggest expense of your whole trip will be the airline flight here, so let's have a look at getting a cheap flight to Manila. A little bit of research now will save a whole lot of heartache later, or should I say wallet-ache, because that is where the pain will hit you! 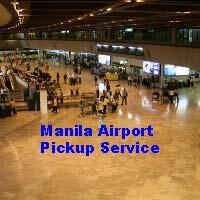 I generally buy and book my airline ticket to Manila online. Cheap Flight to Manila - Frequent Flyer? If I have enough frequent flyer miles or points I use them, but the main problem I find with the frequent flyer option, is getting the flight I want, when I want. The airlines never seem to have a frequent flyer seat available when I want to go....funny that. So the answer here is to book as early as you can and I mean real early, if you can. It sometimes involves going a round about way with a couple of stops, but hey I now have some extra cash in my pocket for the when I arrive, so maybe I will treat myself to something special. The first thing I do is start searching 6 to 7 months before I want to go. I know it sounds a long way out, but I don't want to spend too much money, it's not that I'm cheap, I'm just frugal. So make sure you know when you want to go. I then check how much a flight to the Philippines will cost me, with one of the main carriers to Manila, either by giving them a call or going to there website and getting them to tell me how much there airline ticket is to Manila. I always make sure I use the dates I want to travel. So I now know the starting rate I want to beat for my cheap flight to Manila. Don't worry you should be able to beat it. Where do I look to get a Cheap Flight to Manila? Want to find out how much the flight to the Philippines will cost you? Check out the best cheap flights on the internet, (that I have found). 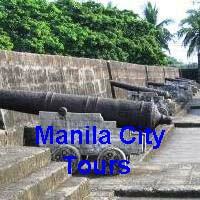 One of the best sites that I have found to get cheap flights to Manila is TripAdvisor . They not only give you access to great flight deals but they give you recommendations from other travellers who have been there and experienced the good the bad and the cheap, they tell you all about it! TripAdvisor also gives you many options on where to get your budget flight to Manila. They list a number of websites where you can compare the prices, dates and availability, all from one website. It is all pretty easy really. What about Travel Agents to get my Cheap Flight to Manila? Some travel agents do offer discounted flights. They are usually Philippine travel specialists or Asian travel specialists. The same rules apply here as well, make sure you have your base rate to start from, ensure you know the dates you want to travel and return and start early. If you leave it to the last minute chances are you will not be able to get too much, if any, of a discount. If you are a senior citizen let the travel agent know as you could very well be able to qualify for a discount. If you have the option of flying out of a smaller airport, you may be able to get cheaper tickets. Mainly because they are competing with the larger city airports they tend to be a bit hungrier for your business. Check your price with TripAdvisor to compare flight prices between different airlines for you Cheap Flight to Manila. When you have found the best cheap ticket to Manila online make sure that the dates you have specified are good for you. Once they are booked it is next to impossible to change the dates unless you want to cough up more money and well that defeats the purpose of buying online. If you are not 100% and I mean 100% sure about your travel dates do not purchase the ticket. Once you have all the information you need to book your cheap flight to Manila and in particular I mean the travel dates, do your research. Find out your base rate for the airfare to Manila, this is the price you want to beat. Get online and surf the web, I found the best place to get cheap flights to Manila is on TripAdvisor . Finally don't purchase until you are comfortable with the dates chosen. Once in Manila you have to decide where to stay. Have a look here for some of my reviews and recommendation on where to stay in Manila. Or if you have an idea about getting a cheap flight to Manila or a good place to stay in Manila you can contact me here, I would love to hear from you! What Do You Think About Manila?